UTSA athletics saw a record year for fundraising during the 2013–2014 fiscal year with donations from more than 2,100 donors topping $4 million. The previous record was $2.8 million. Mike Medrano captured the third individual title of his career at the Alamo City Opener on Aug. 29. The senior from Mission, Texas, covered the Live Oak City Park 6,000-meter loop in 19:04.8 to easily outdistance runner–up James Leonard of Texas State by nearly eight seconds. Stephanie Wangui was named Conference USA Athlete of the Week after racing to the first individual title of her career at the Alamo City Opener. 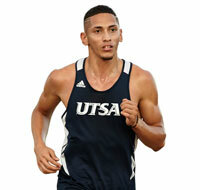 The senior from Leander, Texas, covered the 4,000-meter trail in 14:46.95 to top the field of Division I runners and lead the Roadrunners at the season–opening meet. UTSA opened its fourth season of play and first as a full-fledged member of the Football Bowl Subdivision with a dominating 27–7 victory at Houston on Aug. 29. Playing in front of a national TV audience on ESPNU, the Roadrunners spoiled the debut of the Cougars’ new stadium by scoring the first 27 points of the contest while the defense forced eight three-and-outs in UH’s first nine possessions. Now in its ninth season of play, UTSA opened the fall campaign with a win over Houston Baptist on Aug. 22 before a victory at Sam Houston State on Aug. 24. The 2–0 start was the first for the program since 2010. Under the guidance of interim head coach Greg Sheen, the Roadrunners defeated I-35 rival Texas State on Sept. 14 in overtime for a 4–2–1 start to the season, which is the best in program history. Tomas Stillman captured the Rice Fall Invitational singles crown in September in Houston. The senior from Harlingen, Texas, swept through the 64-man bracket with six victories, including a 3–6, 7–6 (6), 11–9 upset of number 2 seed Tony Lupieri of Baylor in the semifinals. The 2014 Conference USA Newcomer of the Year claimed the title with a 6–4, 6–3 decision against Rice’s David Warren. Miriam Rosell Canudas won the singles title, Jacobea Junger captured the consolation crown and the pair advanced to the doubles championship match to lead UTSA at the season-opening Marco & Co. Catering Islanders Open in September. Rosell Canudas cruised through the singles draw by winning all four of her matches in straight sets, while Junger bounced back from her opening-round loss in the main draw with four victories, all of which came in two stanzas. The duo nearly made it a clean sweep but was unable to win the doubles final. 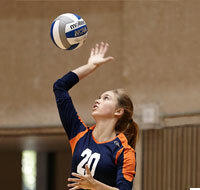 The Roadrunners registered victories against Texas A&M and Baylor during the nonconference portion of the season. UTSA downed the Aggies in five games (28–26, 25–16, 16–25, 23–25, 15–12) on Aug. 30 in College Station to mark the program’s first-ever win against A&M. On Sept. 20 the defending Conference USA champions dropped Baylor in four (25–22, 25–18, 18–25, 25–9) for their first triumph against the Bears since 1990.